Wanted to take your Halloween makeup up a few notches? Well, we have 10 plus size Halloween Beauty Tutorials that will take your Halloween look up a notch! Halloween is around the corner and finding the perfect beauty tutorial can be a bit overwhelming! Right? Well, while we have already shared a few fun plus size Halloween costumes to give you the outfit inspo, how about the beauty looks to pull it all together? We perused YouTube to find a few fly and innovatie Plus Size Halloween Beauty Tutorials from youtubers who know how to slay a face, right in time for Halloween! Yes, girl! Beauty. Video. Tutorials. and more! We’ve found some of the best of the best plus size youtubers beating their faces for Halloween and of course, we just had to share. It is one thing to put on a costume, but your makeup? Takes your whole fit up 10 notches. So if you are looking to take home the best dressed costume award, then scroll down to take a look at a few of our fave Plus Size Halloween Beauty Tutorials! 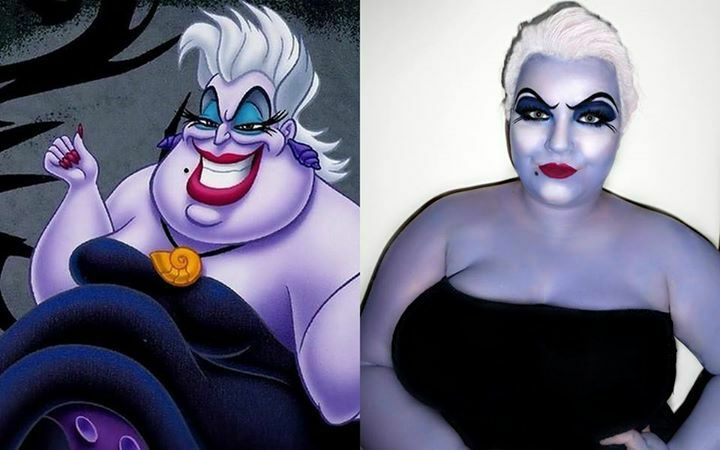 How much do you love The Little Mermaid well She Might Be Loved recreation of Ursula is to die for! Here’s a two for one! Turning Dorothy from the Wizard of Oz, delightfully wicked and giving Poison Ivy a new look, Gabriella Glamour is one to watch! Everybody loves a clown… Right? Just ask London In Style about her take on PennyWise! Are you a fan of Blade Runner? How about a fun PRIS from Blade Runner by Vintage or Tacky?! When a “Good Guy” finds a “Bad Girl” the 80’s come alive for these dolls Jordan Hanz and RawbeautyKristi has us stanning for Chucky and his Bride! This has to be one of the most creative jack Skellington videos we have seen and KolorfulKisses serves it up in this fun collab video! We did our best to bring you various levels of inspiration and looks that can be achieved… we think! What do you say? Did we hit the mark on finding a few cool tutorials? Can you see yourself jamming to your fav spooky tunes while getting your makeup on? Tell us what you think about these Youtubers and their Halloween inspired makeup looks below & don’t hesitate to follow all of them on Youtube and IG! I wish I had the patience and skill to do something like this. I’m loving that Ursula and Poison Ivy costume. They are absolutely talented and creative. I think I’m just gonna put a cape then I’ll be a vampire.